Summary: In an effort to understand more about the algorithms used by Google and other search engines to rank websites, Moz collects views of SEO professionals and compiles the most likely ranking factors annually. This post outlines the results of the 2013 report. SEO practitioners should thank Google for keeping its algorithm for site keyword rankings a secret and keep changing the ranking factors. This alone gives lots of job opportunities for SEO professionals and dedicated companies to help those SEO professionals. Moz is among one of those companies. From time to time, Moz would survey SEO professionals and the current correlations of different factors to google ranking algorithm. It has lately published the survey results as the 2013 Search Ranking Factors. 3 What These Mean to SEO Practitioners? 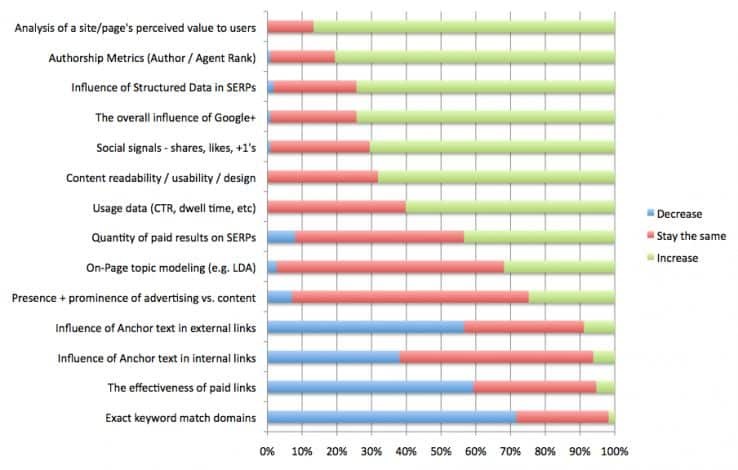 What These Mean to SEO Practitioners? Next story How to persuade management to adopt UX design?